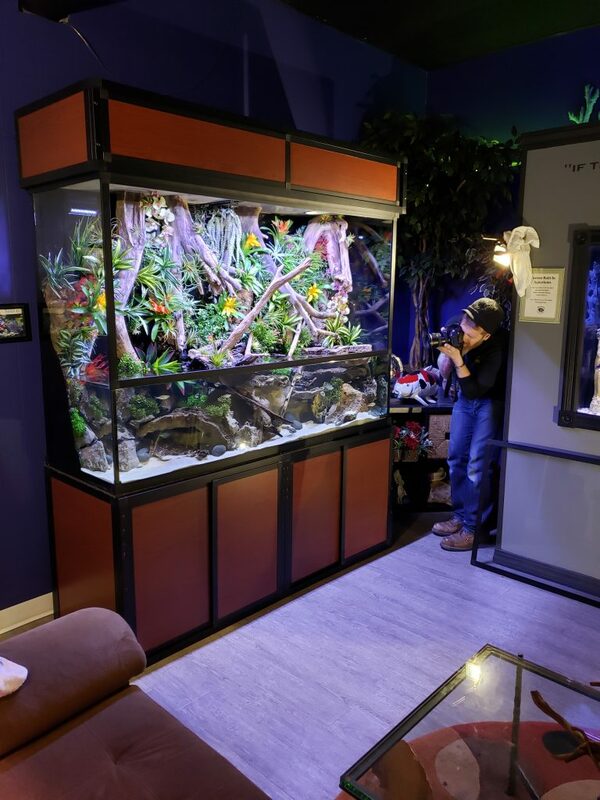 Presented By Premier Aquarium Service, Inc. 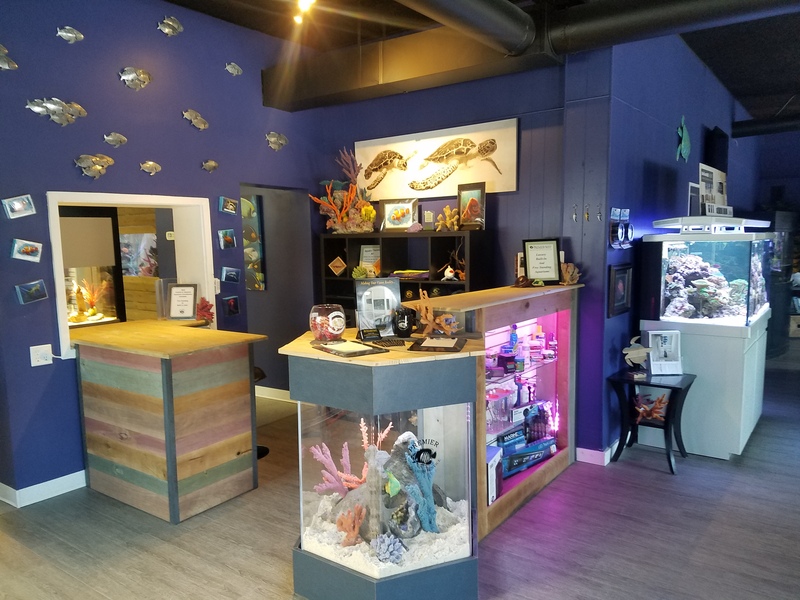 The Aqua Design Studio is a space created by Premier Aquarium Service to help inspire clients and help educate them on different styles and types of aquariums and water features available. Seeing these beautiful Living Works Of Art in person can be a wonderful aid in helping our clients decide on the style that best fits their needs and get their creative juices flowing. 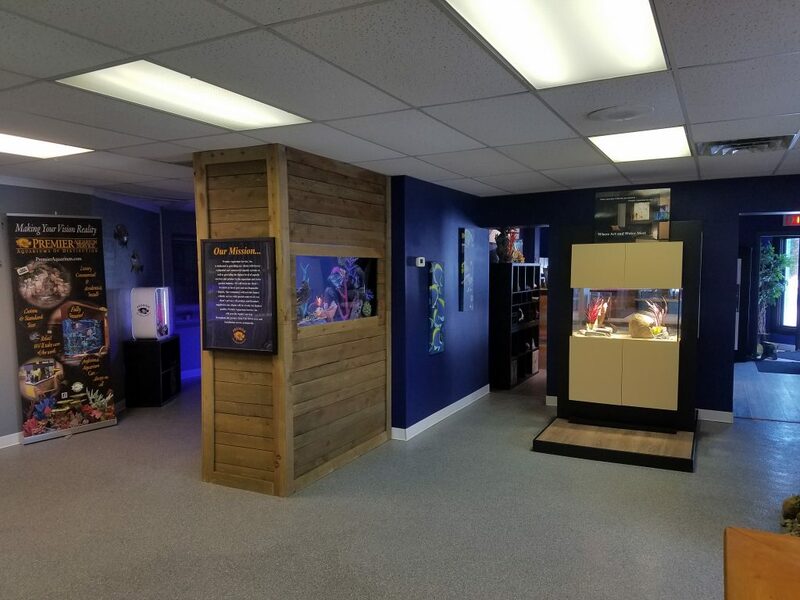 Touring the Aqua Design Studio you can also see numerous livestock options in The Vault our state of the art conditioning and quarantine facility. See some of nature’s beauty up close and personal. 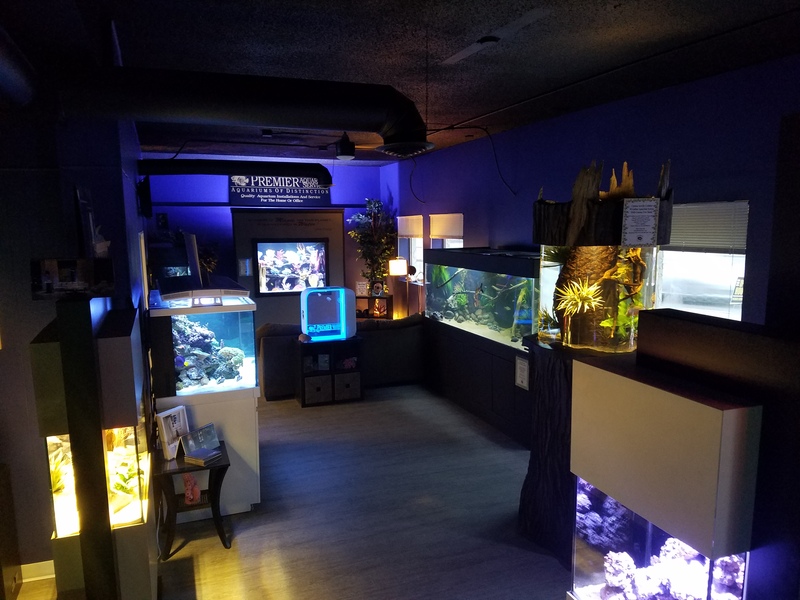 Choose your favorite aquarium décor options from the largest inventory in the upper Midwest, we stock thousands of pounds of decorative rock, hundreds of pieces of public aquarium quality artificial corals, multiple natural wood options and much, much more. We have been told by clients that the Aqua Design Studio is the aquariums equivalent of Santa’s workshop.